Transformers 4 grossed $1 billion dollars worldwide. Now, it’s out on Blu-Ray to add to that total. This has left many wondering what South Park creators Trey Parker and Matt Stone once famously pondered: “Why does Michael Bay get to keep on making movies” when his movies seem so terrible? Well, modern consumer scientific research finally has an answer to this puzzle, and the answer isn’t just our poor taste in movies. We love seeing Michael Bay movies, because even if we don’t like the movies, we get to feel the “joy of judging.” This joy explains a lot of the modern entertainment economy, from watching reality TV to live tweeting the MTV Music Video Awards—two other examples where people tune into content they somewhat hate but love to somewhat hate. With Bay’s movies, we enjoy the process of making snarky comments as we watch, searching for plot holes, and talking about how he is doing wrong by the source material. The movie could be bad, but the time we spend in the theater with the movie is fun. From Hollywood movies to Harvard research, the idea that consumers crave engagement not just quality in their entertainment is becoming apparent. The joy of judging and engagement gears into overdrive with Bay movies, as these pleasures are maximized when we feel some mastery and identity in the area. This is what makes Michael Bay’s movies so magnetic even if they also seem sort of repulsive; he consistently chooses topics that we have lots of knowledge of and that relate to our childhood identities (i.e., Transformers, Ninja Turtles). We want to be a part of the community discussing these movies. So it does not matter whether Transformers 4 is good or not. We have to see it if we want to talk about the topic of Transformers. Or consider The Amazing Spider-Man 2, a film that borrows heavily from the Michael Bay playbook of huge glossy visual imagery. That movie was not so good, was it? And comic fans knew that ahead of time. But did many of them still go? Absolutely. Why? Because the Spider-Man fans had to know whether the director got Spider-Man’s personality or the classic Gwen Stacy’s “arc” right. Movies and television do not need to be good. The right type of movies and television are just a springboard for “second-level” enjoyment through Twitter, blogs and conversations. 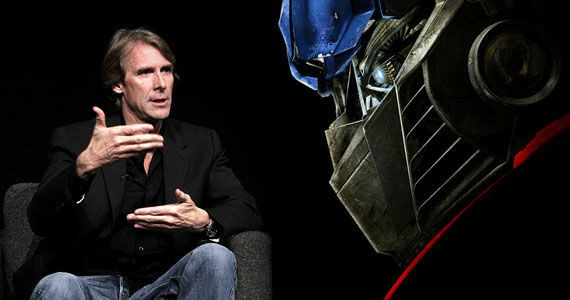 So why does Michael Bay get to keep on making movies? Because bashing Bay is fun. While it might be tempting to feel bad for Bay, it’s worth remembering that all this Bay bashing means over $5 billion in box office total alone for the director. So good or bad, the movies are profitable and that’s what the movie business is all about. Troy Campbell is an experimental researcher of consumer enjoyment and identity at Duke University and the Center for Advanced Hindsight. You may also like “Why Who Plays Batman Matters” and “The Power of Modern Stand Up Comedy” by Troy Campbell.